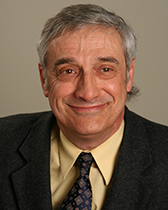 Joel Mokyr conducts research on the economic history of Europe, and specializes in the period 1750-1914. His current research is concerned with the understanding of the economic and intellectual roots of technological progress and the growth of useful knowledge in European societies, as well as the impact that industrialization and economic progress have had on economic welfare. He is a Fellow of the American Academy of Arts and Sciences, the Econometric Society, and the Cliometric Society as well as the British Academy, the Italian Accademia dei Lincei and the Dutch Royal Academy. He has been the President of the Economic History Association, editor in chief of the Oxford Encyclopedia of Economic History, and a co-editor of the Journal of Economic History. He is currently co-editor of a book series, the Princeton University Press Economic History of the World. He was the 2006 winner of the biennial Heineken Award for History offered by the Royal Dutch Academy of Sciences and the winner of the 2015 Balzan International Prize for economic history. His latest book is A Culture of Growth: Origins of the Modern Economy, to be published by Princeton University Press in 2016. He has supervised over forty doctoral dissertations in the departments of Economics and History.